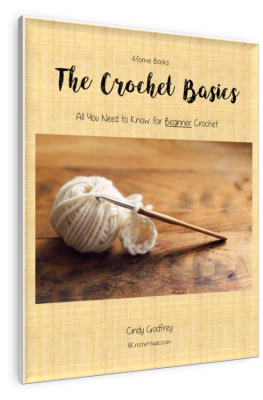 I need to show you how to crochet a beanie, because I love crocheting beanies and my kids love them, too! So if I show you then then you can join in on the fun. They’re a quick, easy project that can be made for just about anyone. They make the best gifts, too. 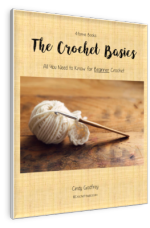 Crochet beanies are great for beginner crocheters. 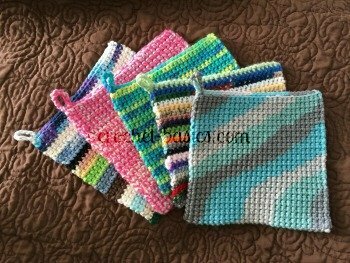 They will give you practice working in rounds and are usually a simple pattern or stitch that repeats. They are also a quick project. So, you get a finished product in a short amount of time, which is really nice when you’re just learning to crochet. Remember, beanies are just a kind of hat, so everything that applies to crochet hats applies here. That means that you’ll be able to find lots of different kinds of patterns from super simple to extra fancy. You can make beanies with just about any kind of yarn in any color or with multiple colors. You can take any pattern and make it uniquely your own style. You can also adjust the length of your beanie to fit just perfectly. All you have to do is add or subtract rows in the main body of your beanie. Be sure that where you decide to add or subtract rounds is done after the increasing rounds are worked. That would be in the rounds that are worked with the exact same number of stitches. This is a really basic pattern for a beanie. So, it’s a great one to start with. In this pattern I'll also tell you where you can adjust the width or length. I used worsted weight (4) yarn. Red Heart Super Saver works really well. Ss in the 1st ch to form a ring. Work 10 dc into the ring. Work 1 dc in the same stitch as join. Work 2 dc in each stitch around. Ss to 1st dc to join. Work 1 dc in same st.
Work 2 dc in next st.
*Work 1 dc in next st.
Work 2 dc in next st*. Repeat * to * around. *Work 1 dc in the next 2 st.
Work 1 dc in the same st.
Work 1 dc in the next 2 st.
Work 2 dc in the next st.
*Work 1 dc in the next 3 st.
Work 1 dc in the next 3 st.
Work 2 dc in the next stitch. How To Crochet a Beanie Help . . . If you need the beanie to be a little wider, add another round here following the same pattern. Work 1 dc in each st around. Repeat Round 7 for each round. If you need your crohet beanie to be a little longer, add another round or two here. If you need it to be shorter then work 1 or two less rounds. The next 3 rows can be worked in a different color for a great edge, too. Work 1 Bpdc in each st around. Work 1 dc in each stitch around. Work hdc in each st around. Sporting the slouchy-look, which is how this beanie is usually worn by her. That's how to crochet a beanie! You did! Would you like to crochet another hat? Check it out here.